Recent comments by a high-ranking Vatican official have sparked questions about the direction priests should face while celebrating Mass. Cardinal Robert Sarah, prefect of the Vatican’s Congregation for Divine Worship and the Sacraments, urged priests and bishops at the Sacra Liturgia conference in London on 5 July to start celebrating Masses “ad orientem”, or facing away from the congregation, beginning the first Sunday of Advent this year. “Dear fathers, I ask you to implement this practice wherever possible, with prudence and with the necessary catechesis, certainly, but also with a pastor’s confidence that this is something good for the church, something good for our people,” Cardinal Sarah said. Several liturgical experts said Cardinal Sarah does not have the authority to impose a change but is simply encouraging a practice that liturgical law already permits. “I think he’s just encouraging as anyone can encourage, but because of his position, his encouragement carries more weight. He’s not changing the legislation at all; he’s just giving his opinion that he thinks this would help people to pray better,” Fr Andrew Menke, associate director of the U.S. Conference of Catholic Bishops’ divine worship office, told Catholic News Service on 6 July. Fr Menke also said Cardinal Sarah’s suggestion would not overturn the Second Vatican Council’s decisions but would ease some of the liturgical changes that followed the council. 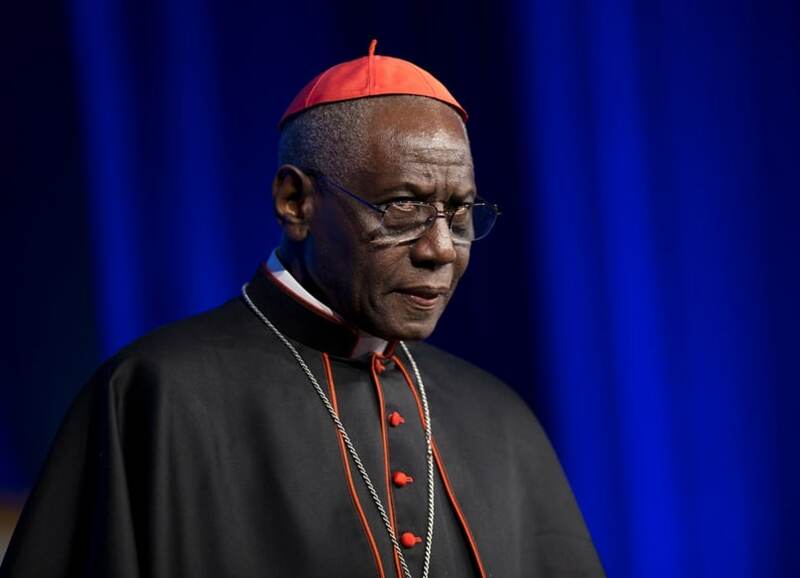 “Some people have the opinion, Cardinal Sarah apparently being one of them, that (those) who carried out what Sacrosanctum Concilium (Constitution on the Sacred Liturgy) said to do went too far and did things that the bishops of the council never envisioned, and so it seems he’s starting to talk about proposing some changes that would pull back a little bit from some of the changes that they made,” Fr Menke explained. Fr Menke said that as new editions of the Roman Missal are released, liturgical law is bound to shift, but he doubts anything would happen regarding the direction the priest faces, except perhaps more encouragement of “ad orientem” Masses in future missal editions. Other experts agreed, saying neither bishops nor Cardinal Sarah have the right to force priests to celebrate Mass “facing East” until there is an official change to the missal, the official liturgical law. Jesuit Fr Bruce Morrill, professor of Catholic studies at Vanderbilt University, said Cardinal Sarah’s office could issue a directive mandating “ad orientem” Masses without changing the whole missal. “This is not official; he was speaking to an annual meeting of an erratic conservative group. … Those directives don’t happen in speeches and interviews” like those Cardinal Sarah has given, Father Morrill said. Mercy Sister Sharon Euart, former executive coordinator of the Canon Law Society of America, said that the issue is complicated because liturgical rules can vary by diocese, with the bishop being able to make some provisions for different priests.